Pension & Investment Partners LLP is a firm of Retirement Planning Specialists & Independent Financial Advisers based in Rawdon in Leeds, West Yorkshire. Our main purpose is to help you achieve your long term financial and retirement goals, providing you with a more certain financial future and peace of mind. Click to call today to discuss your retirement plans. The Partners combined have over 50 years of experience and technical know-how, priding themselves on maintaining an extremely high level of professionalism, integrity, ethics, values and dedication to client service. Our four key principles centre on honesty, integrity, reliability and value. 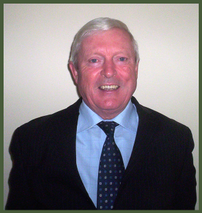 Bernard F. Macken has worked in the Financial Services Industry for over 40 years, beginning his career at the Provident Life Association in the City of London as a life claims assistant and then as an actuarial trainee. Following a 23 year career at Towry Law, in the City, Windsor and Leeds, holding many managerial and directorship roles, Bernard subsequently formed The Pensions Partnership (TPP) with two other former Towry Law directors. After 12 years at the helm of TPP’s Northern Division, Bernard went on to form Pension & Investment Partners LLP in 2007 with former TPP employee Gareth D. Needham, after successfully completing a management buyout of the Division from Tilney Investment Management/Deutsche Bank. Bernard’s professionalism and dedication to client service has earned him many plaudits from clients and industry associates alike. With his friendly, down-to-earth and hands-on approach combined with his wealth of experience, technical knowledge and prolific work ethic; Bernard is dedicated to ensuring the best possible outcomes for you to help you achieve your long term financial goals. Bernard loves sport, both watching and playing. Gareth D. Needham has worked in the Financial Services Industry for over 10 years, beginning his career after University at the Pensions Trust. Following that, he had a brief stint working for Standard Life before joining the Northern Division of The Pensions Partnership in 2002 working under Bernard F. Macken. Following Bernard’s successful management buyout of TPP’s Northern Division from Tilney Investment Management/Deutsche Bank in mid-2007, Gareth went into partnership with Bernard forming Pension & Investment Partners LLP in early 2007. 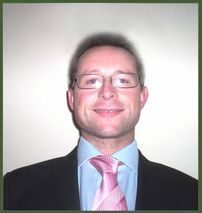 Gareth’s wealth of experience and technical expertise is complemented by his outgoing, upbeat and positive manner, allowing him to build fruitful relationships with clients while ensuring that they receive the best advice and client service possible to help them achieve their long term financial ambitions. 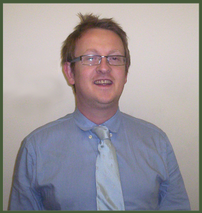 A keen sportsman, Gareth plays Squash, Cricket and Golf in his spare time. Shane B. B. Macken joined Pension & Investment Partners in May 2013 and was subsequently made a Partner in November 2013. He began his career in the Mortgages & Insurance Division at the Leeds & Holbeck Building Society. Following this, Shane worked at BT in the Government Credit Control Division before securing a year’s Internship with renowned finance publication Euromoney Institutional Investor, working as a client services representative in the Conferences Division of their New York office. He subsequently held a four year tenure in a similar role at Euromoney’s London office, also. Prior to joining PIP, he worked in General Insurance spending nearly 4 years with Gallagher Bassett International as a Claims Handler. Shane holds a BA (Hons) in Business Administration from De Montfort University in Leicester. In his spare time, Shane enjoys listening to and playing music (he is an accomplished Piano and Guitar player), playing Squash and going to watch his beloved Bradford City FC.